Our 100% online Asbestos Awareness training course provides awareness training for workers who may encounter asbestos exposure on the job. Students will learn about determining asbestos presence, the hazards of asbestos exposure, how to avoid exposure, as well as related OSHA and EPA standards. This course is not intended for employees performing asbestos abatement activities, who require training per applicable EPA standards. Workers exposed to asbestos at levels above the Permissible Exposure Level (PEL) will need additional training by their employers in the use of site-specific personal protective equipment (PPE). This Asbestos Awareness training is a 100% online, fully narrated course. The training is self-paced and available 24/7. The course includes up-to-date, high quality training designed with your safety and learning as our top priority. Taken through our state-of-the-art Online Training System (OTS), the course features interactive training and both audio and visual elements for maximum retention. The course is completed entirely online using a computer with an internet connection and is available 24/7. For your convenience, it can be completed over time, and your progress will be saved to the last section completed. Students are given 6 months to complete the course after enrollment. We are so certain you will be satisfied with your experience, that we offer a 100% Money Back Guarantee*. Once the course is completed, you will immediately be able to download, save or print your Course Completion Certificate which is provided in PDF format. We also offer the option to be mailed a PVC credit card style Wallet ID Card with optional photo, showing training course completion. If selected during enrollment, this ID Card option costs an additional $5.00, and the card will be mailed within 24 hours of course completion. What is asbestos? | Locations of asbestos minerals | Why is asbestos valuable to industry? 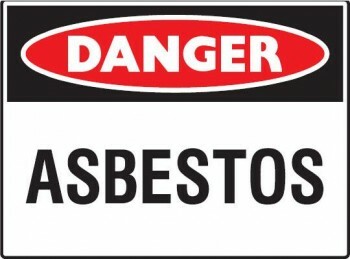 | Asbestos uses in surfacing materials, thermal system insulation, structural products, and general uses | Types of asbestos | Characteristics of and uses for asbestos | Friability | Testing for asbestos | How workers are exposed to asbestos | Hazards of asbestos exposure | OSHA and revisions in OSHA standards | Proposed ban on asbestos. OSHA and EPA asbestos standards: 29 CFR 1926.1101; 29 CFR 1915.1001; 29 CFR 1910.1001; 40 CFR Part 763 | Permissible Exposure Limit (PELs) | Short-term exposure limit (STEL) | Asbestos monitoring | Regulated areas | Warning signs and labels | Compliance methods | Methods to control asbestos exposure | Respiratory Protection | Protective clothing | Housekeeping | Cleanup | Training | Medical examinations | Recordkeeping | Public and commercial buildings | State-specific asbestos requirements. The objective of this online Asbestos Awareness training course is to teach employees about the common places asbestos may be found, the hazards of asbestos exposure, asbestos protection measures, and the OSHA and EPA standards addressing asbestos in the workplace. This online Asbestos Awareness training consists of 2 sections, which are fully narrated and interactive. Quiz questions within each section help the student retain the knowledge needed for the final exam. The final exam for this course consists of 20 questions, which are randomly compiled from a large pool of possible questions. Our online Asbestos Awareness training was designed by Certified Outreach Trainers. Once the course is completed, you will immediately be able to download, save or print your Asbestos Awareness Certificate of Course Completion which is provided in PDF format within our Online Training System (OTS). We also offer the option to be mailed a PVC credit card style Wallet ID Card with optional photo, showing training course completion. If selected during enrollment, this ID Card option costs an additional $5.00, and the card will be mailed within 24 hours of course completion. OSHA’s Asbestos Safety and Health Topic is a valuable resource for additional information. It provides an asbestos definition, a review of the asbestos hazards, methods to reduce asbestos exposure, and a listing of OSHA asbestos standards. Please note that this course provides valuable Asbestos Awareness information which applies to the general population of workers who may encounter asbestos exposure. This course is not meant to replace company-specific training provided by your employer on equipment use and procedures for your particular work environment. Employers must ensure you are trained using the specific protective equipment you will use on site prior to commencing work. You must be trained by your employer on the hazards, equipment, engineering and administrative controls, safe work practices and emergency plans specific to your role and workplace.